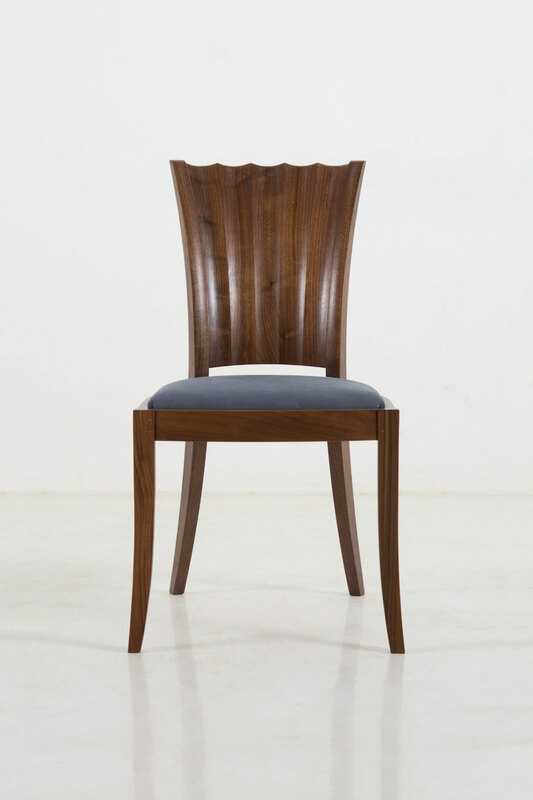 The hourglass lines of the Aria Side Chair – seen in the hand-carved convex and concave curves of its distinctive back – are reminiscent of an age when Old World design influences met a newly minted urbane American public. 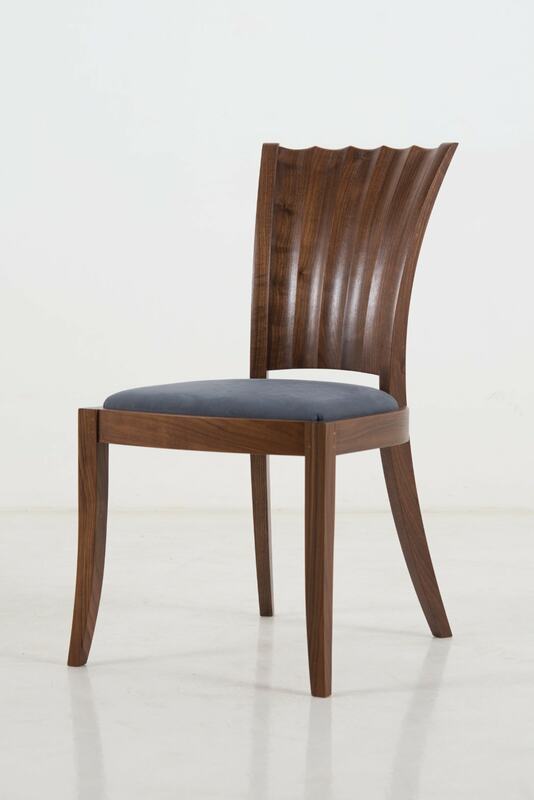 Like every piece in our Aria Collection, Aria Chairs are showcases of fine craftsmanship, with gentle lines that suggest calm waves, wind-sculpted dunes and intricate seashells. 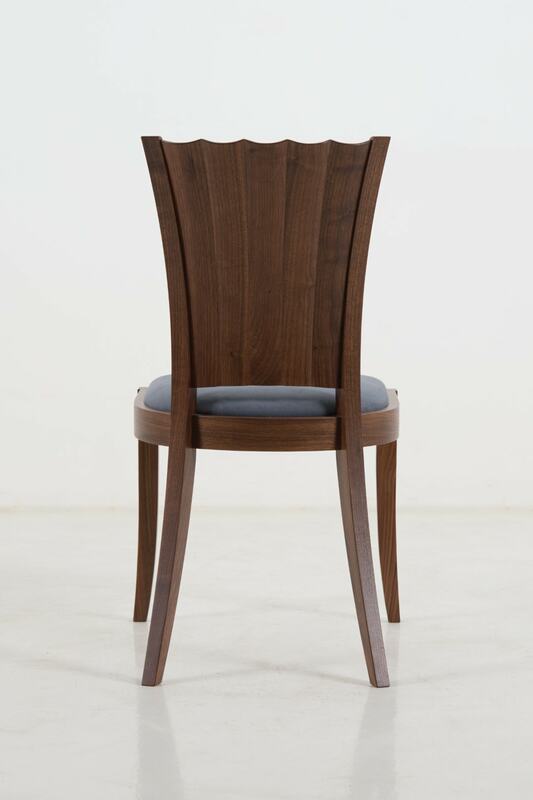 Assembled by joining a series of carved cherry or walnut staves to form a scalloped finish, the Aria Side Chair makes the highest possible use of hand-selected wood, displaying its dense grain structure in a form that is both simple and artistic in its rendering. 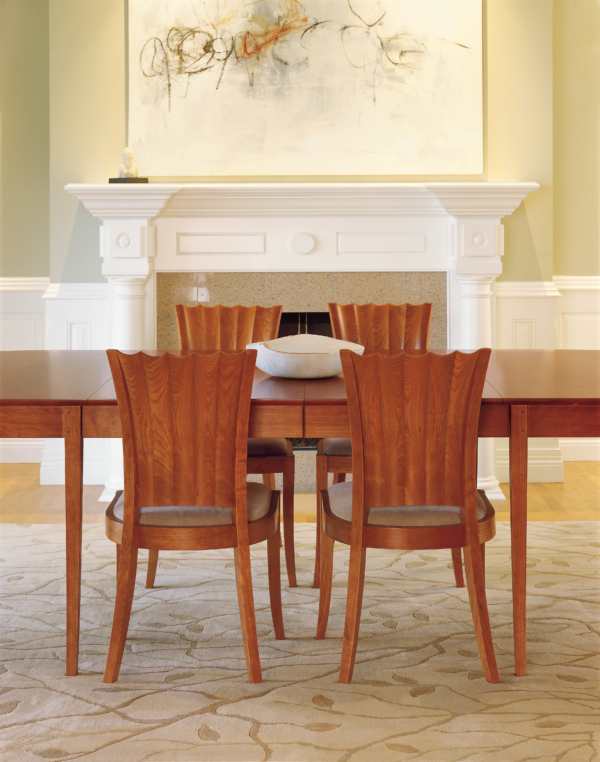 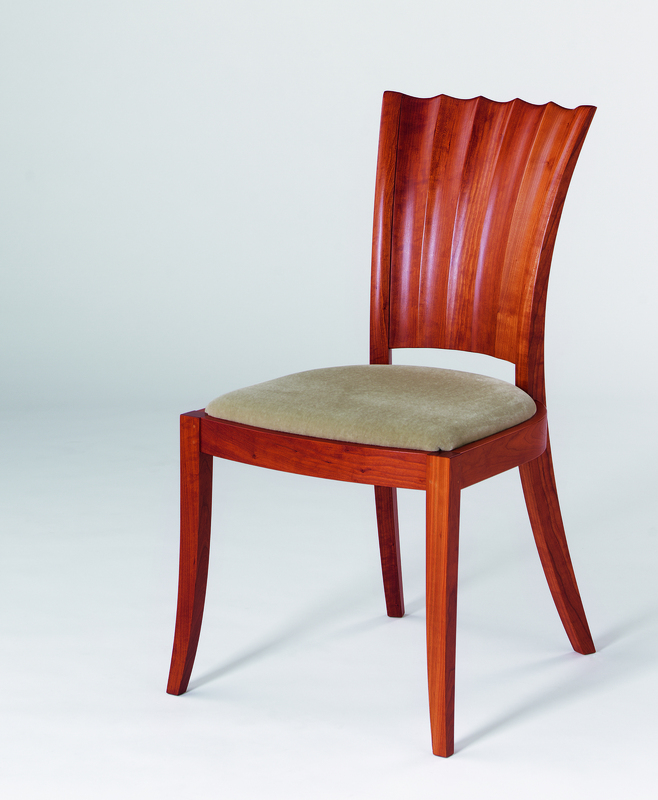 Aria Dining Chairs are distinguished by the dramatic relief of their scalloped backs and contrasting upholstered seats. 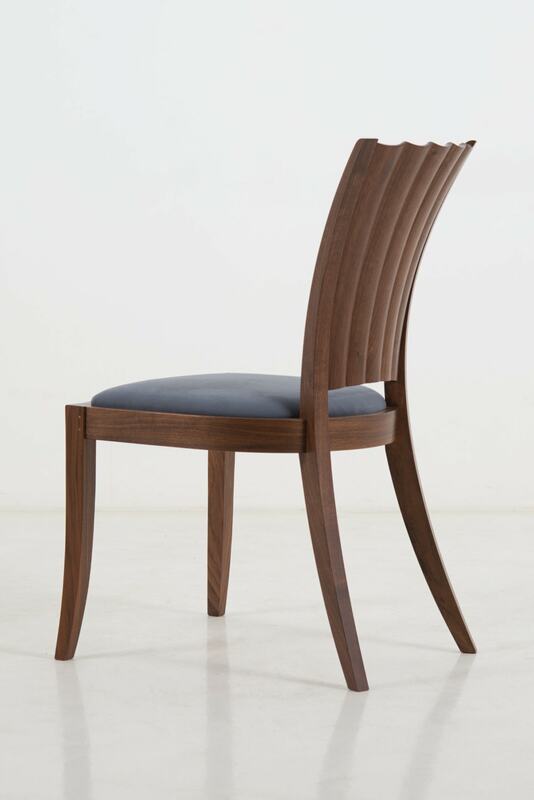 In a striking display of intricate craftsmanship, each grain-matched stave of the Aria’s seat back is carved and attached to its mate with concealed alignment pins. Unlike stacked and laminated furniture, the entire surface is seamless to the touch. 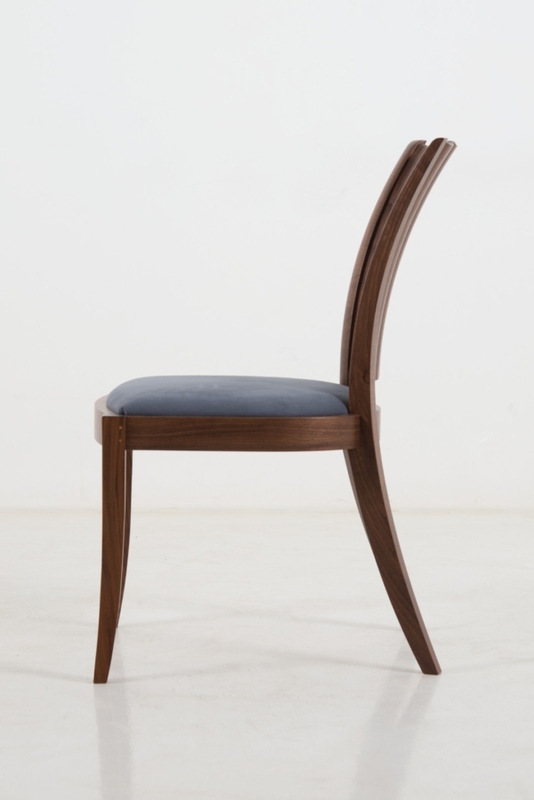 Aria’s distinction continues with the sophistication of its tapered, gently curved legs, designed to offer stability and strength – while contrasting with the softness and texture of its elegant upholstery. 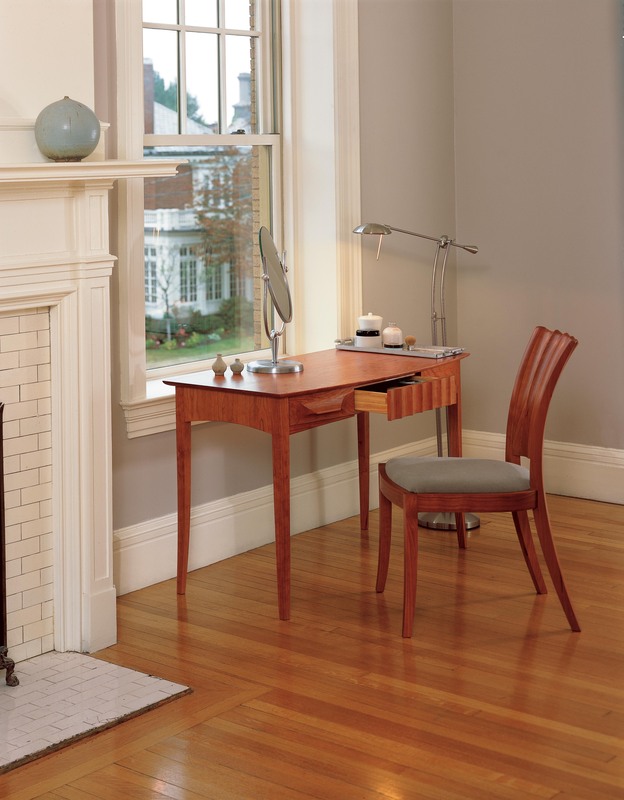 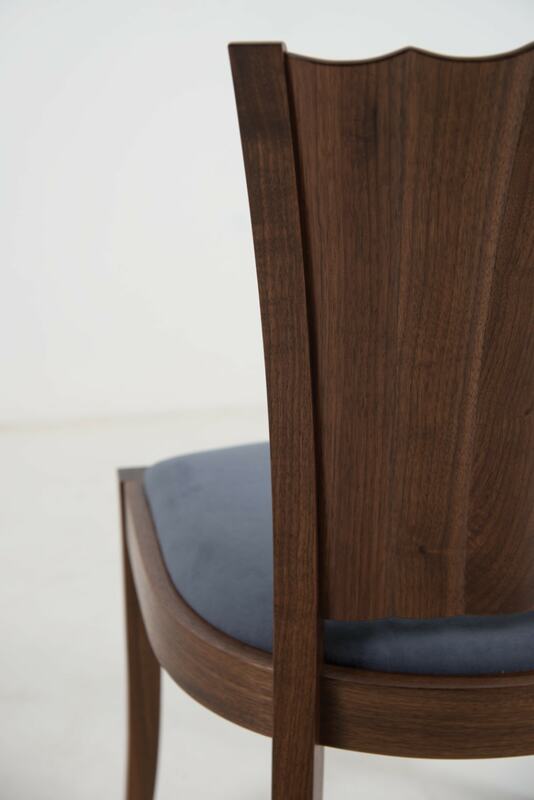 The Aria Side Chair demonstrates the delight our craftsmen take in a challenge well met. 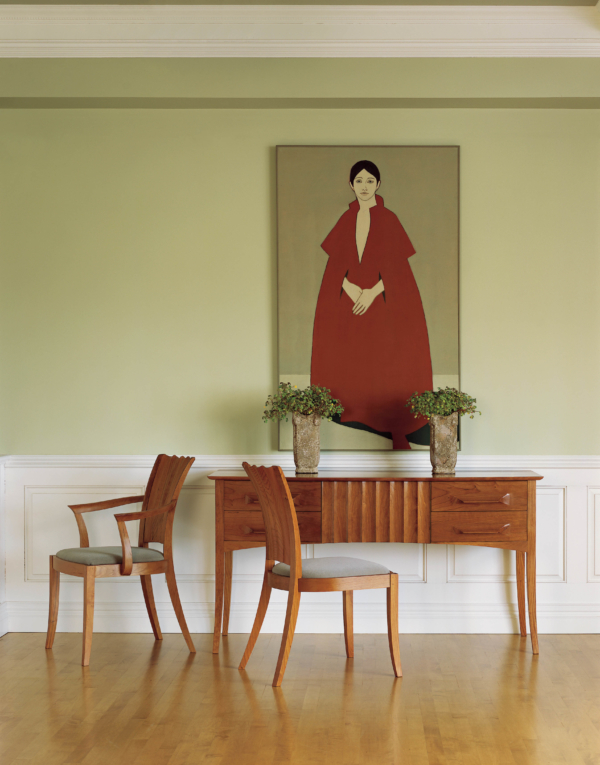 Through the unification of mass and space, the chair is a natural companion to any furniture with a more rectilinear form. And like all our furniture, it will provide countless hours of satisfaction – over generations of regular use.